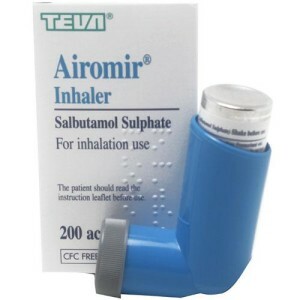 An autohaler and Airomir inhaler are used in asthma treatment and both contain the medication salbutamol. This is a type or medication that is known as a short actin beta 2 agonist. As an inhaler the salbutamol is normally used to act on the receptor in the lungs that are called beta 2 receptors. The sabtuamol inhaler stimulates those receptors so the muscles of the airway will relax. With conditions that constrict the breathing such as asthma or chronic obstructive pulmonary disease, which is for things like chronic bronchitis and emphysema, it is hard for air to get into lungs. By using the salbtuamol inhaler it does provide some quick way of getting relief from not being able to breath. With this method of using an inhaler the salbtuamol gets directly into the lungs. And with such a direct method the person can cut down on any possible side effects. This type of inhaler is able to work very quickly for quick relieve in problems of asthma attacks, wheezing, chest tightness or shortage of breath. The salbutamol inhaler would work too for help with wheezing when one is preparing to exercise. Thus this type of inhaler has so many immediate benefits to the person who needs some immediate help with breathing problems. One’s doctor will prescribe a level of usage. And will be sure that the patient knows not to exceed this level of usage. For that is the amount of the medication that one can safely use in a given time period. If for some reason the inhaler doesn’t work as long as usual the person will need to check with the doctor for a replacement. And if some reason the condition gets worse after using the inhaler then the person should contact the doctor immediately. 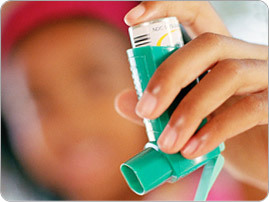 In some cases the inhaler will cause a temporary increase in wheezing right after the use. Should that happen then one should stop using the inhaler and call the doctor. He or she will have to prescribe an alternated form of medicine. With people who need such in inhalers because of severe asthma they will need to be tested for potassium levels in the blood. Because with problems of breathing and various asthma medicines it can affect the oxygen blood levels this can in turn impact one blood potassium levels. People who suffer from diabetes, heart disease, high blood pressure, hyperthyroidism and irregular heart beats need to exercise care when using this product. They will need to let their doctor know they have these problems so he or she can be sure to modified dosage accordingly. And if a person is at all known to be allergic to any of the ingredients then it usage so be avoided. If one has a reaction in any way then one should consult doctor or pharmacists immediately. If a woman is pregnant or planning a pregnancy she should be sure she informs doctor so he can decide it this medication is safe for her to use. That is always a good choice with any form of medication that is being described. Known side affects from the use of this medication can include being shaky, nervous tension, headaches, faster than normal heart beat, muscle cramps, low blood potassium and unexpected narrowing of the airways. Should a person experience any of these side effects be experience the person should consult his or her doctor right away. A person can check with the health care provider to obtain a complete list. He or she will also be able to answer any questions that one might have on this subject.